It's a dog walk. With friends. 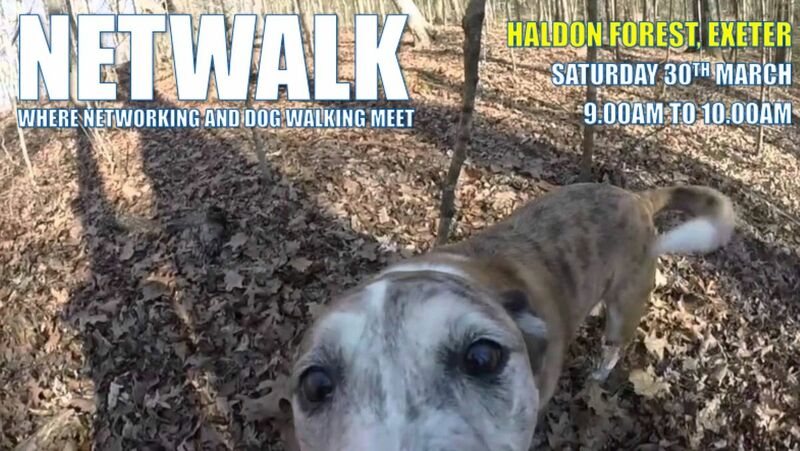 A chance to take your faithful friend for a good walk in Haldon Forest and network (if you want) at the same time. Just a group of dog loving business people, walking, chatting, sharing ideas and making friends. There's no agenda and no selling. It's just a nice way to share a Saturday morning. I'd suggest an hour for the walk, but you may want to go further or not as far. It's entirely up to you. At the end, my hound and I will be in the Ridge Cafe for coffee (me) and restorative flapjacks (dog). That's it. It's free and entirely flexible. Come and go as you please, but if you want to join us at the start, be there for 9.00am. We'll get some exercise, let our dogs have a play and we can all make new business friends too.